A study published a few years ago shows that in states where marijuana has been legalized, suicide rates have declined. The study, Medical Marijuana Laws and Suicides by Gender and Age, was published by the American Journal of Public Health and showed a reduction in suicide rates in states that allowed cannabis for medical use. Since this study was published, more states have adopted medical marijuana laws and some of those that have allowed cannabis for medical purposes have expanded to allowing cannabis for “recreational use” with controls and restrictions similar to alcohol consumption. So, the reduction in suicide rates may be an even greater reduction now than it was when this study was published. 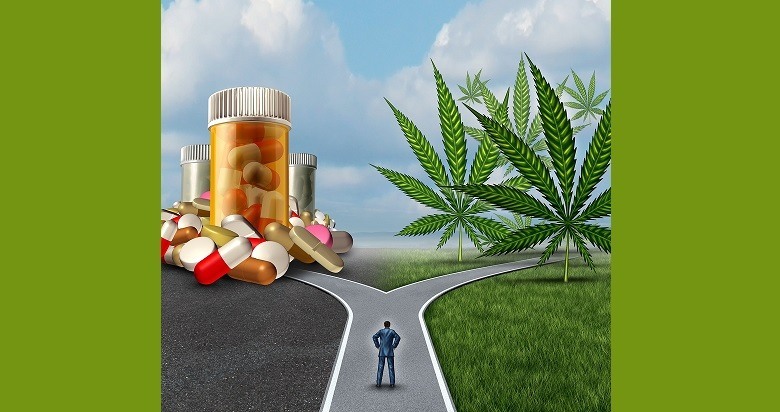 I have no trouble believing that cannabis is superior to prescription medications. If I were given medical marijuana under the care of a doctor instead of all those prescription drugs doctors wanted to throw at me, my mind would be in 40% better shape, at least. I still remember the day I was told by a doctor that they still didn't have a good understanding of how their drugs work. That was the day I realized that I might as well be a guinea pig. And cannabis works much better, without scrambling my thinking or turning me into someone I'm not. In my opinion, some of the meds doctors prescribe are dangerous, at least to me. And I'm probably not alone.